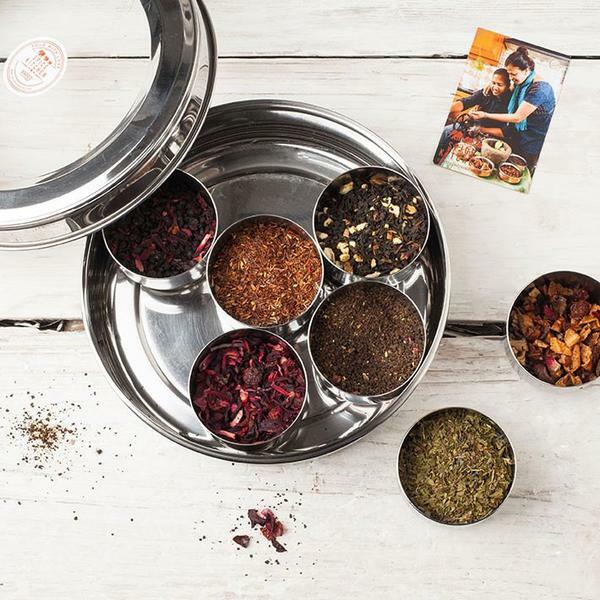 Become your own personal chai wallah with our loose leaf tea gift set, including seven of our most exciting teas. Inspired by the Indian love of tea-drinking, our loose leaf gift set includes masala chai tea, peppermint and rose red bush, as well as several fruity options with a natural taste and incredible aroma. 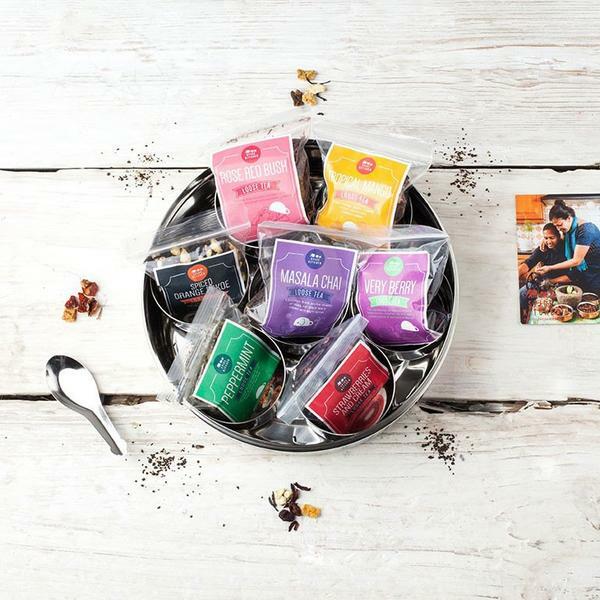 Along with teas sourced from around the world, every set comes complete with a silicone tea infuser called 'Mr T'. 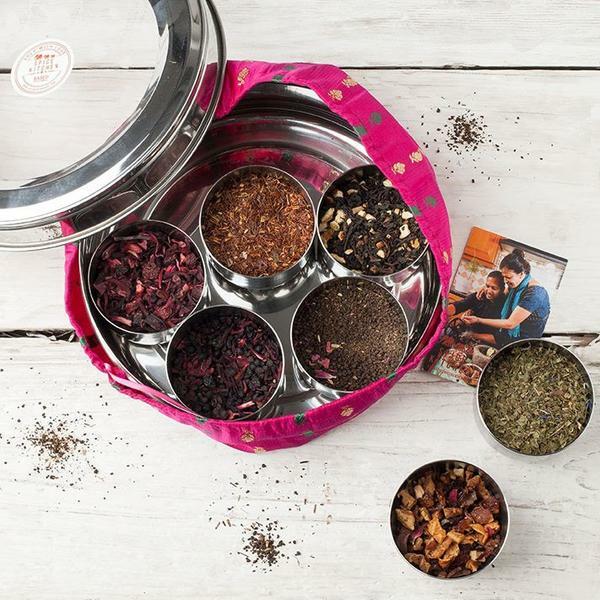 It’s the perfect introduction for any foodie wanting to try something new or an interesting option for the seasoned loose leaf enthusiast. 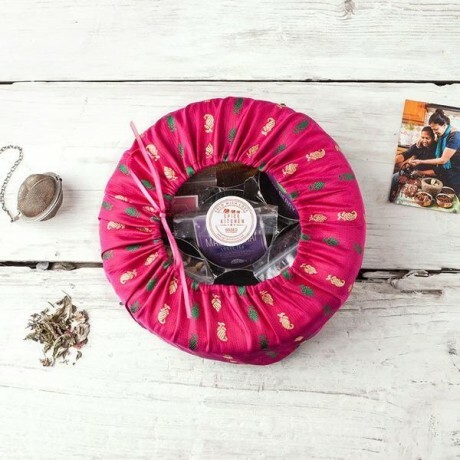 The set comes with our well known silk sari gift wraps, handmade by us (Mamma Spice) herself. 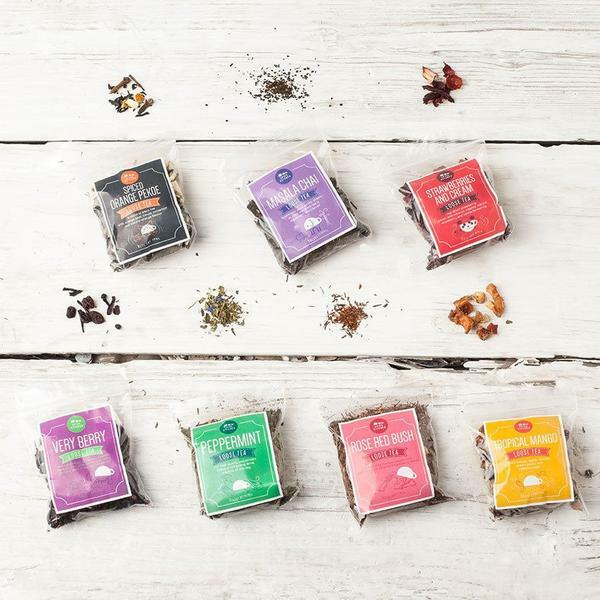 We source tea blends from around the world and when the hard work of grinding and roasting spices is done, you’ll more than likely find us at the heart of our business - the kitchen - enjoying a hard-earned cuppa from this selection. We’d love to share it with you.